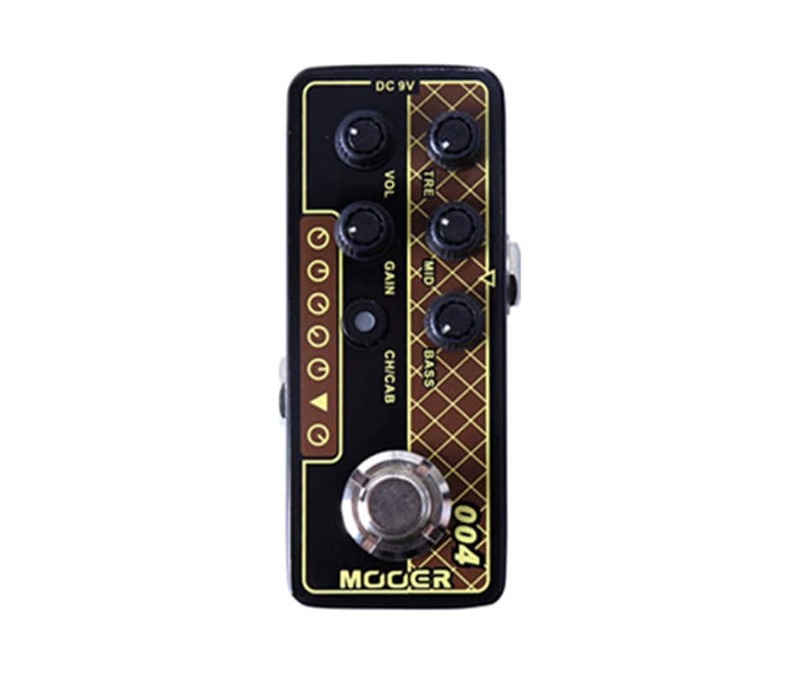 The Micro Preamp 004 Day Tripper is based on the 60s UK chime of the VOX AC30 amplifier. These have been designed to be used with the upcoming MOOER power amp or in the effects return of any standard guitar amplifier. The speaker cab simulation allows the user to connect direct to a soundcard, powered monitor or P.A. without the need for a guitar amp or speaker cab at all.